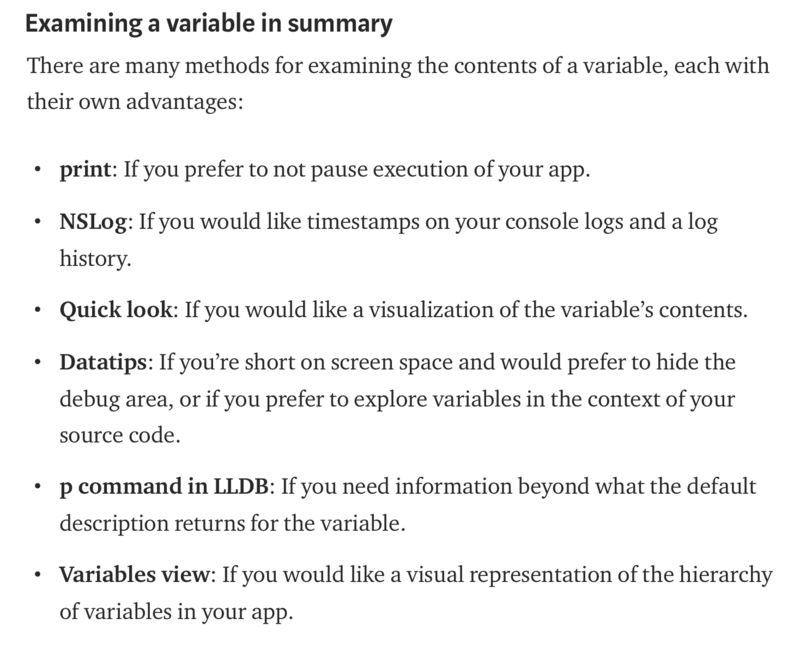 How do you examine the contents of a variable in Xcode? The variables view? Printing to the console? The options go way beyond these two! Count the ways now in an excerpt of iOS development with Swift: “Breakpoints and examining variables in Xcode.” Check it out now in Medium. ← iOS Development with Swift available now!